Tammy Teaser: Melissa McCarthy is having a bad day! 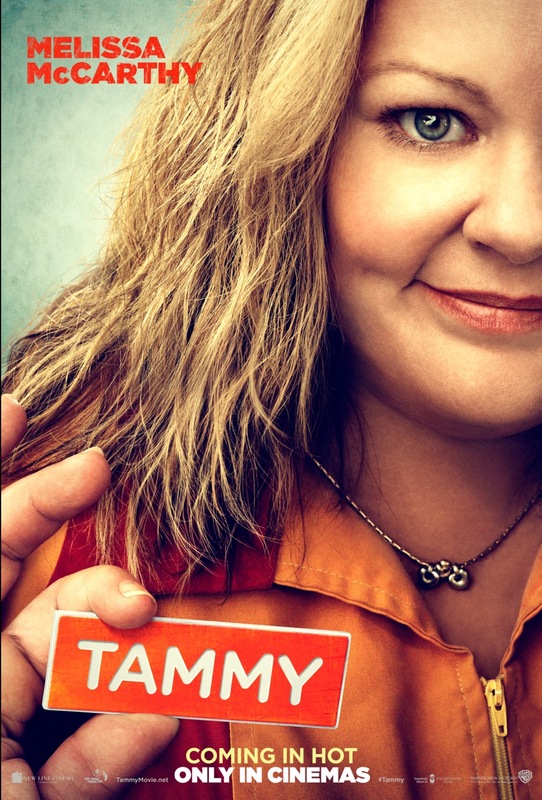 Here is the first teaser and poster for Melissa McCarthy’s next “Tammy” directed by Ben Falcone, who is also her husband (he played the Air Marshall in Bridesmaids), and co-starring Susan Sarandon, Dan Aykroyd, Allison Janney, Kathy Bates, Toni Collette. I haven’t been able to keep up to date with all her releases after BridesMaids but I do find Melissa McCarthy hilarious on the big screen (Mike and Molly was less my cup of tea). The teaser also has a bit of Sarah Barker who was excellent in Go On, another more than decent Matthew Perry TV show cancelled too soon (guys can’t seem to catch a break). So quite looking forward to Tammy! You’d expect that after the massive success of Bridesmaids, we would be seeing a lot more of Kristen Wiig on screen, unfortunately that’s not been the case. Even Girl Most Likely which was previously called Imogene and premiered last year at Toronto International Film Festival is only getting a release date now. 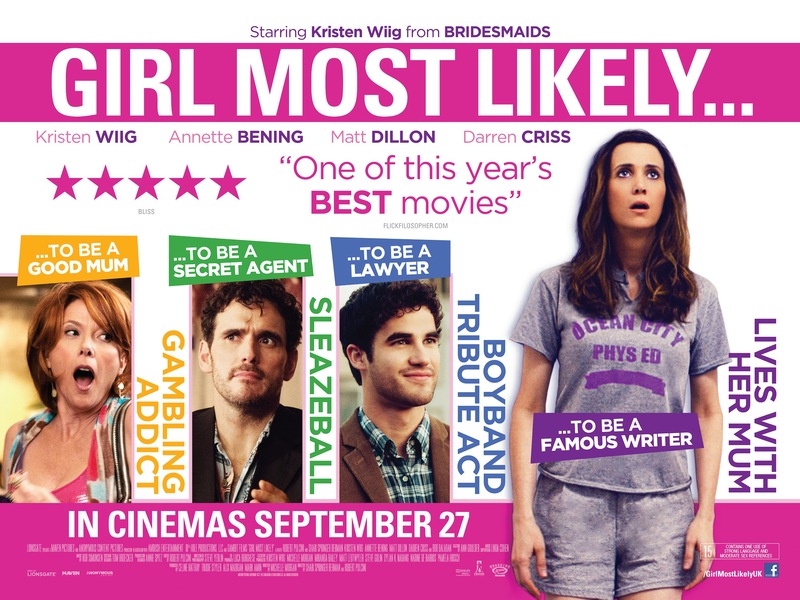 Kristen Wiig, Annette Bening, Darren Criss and Matt Dillon headline in Girl Most Likely, a hilarious comedy about Imogene, once a promising young New York playwright whose promise has fizzled, thanks to a crisis of confidence. Heavily in denial about being dumped by her high society boyfriend, Imogene uses her skill for drama to stage an elaborate meltdown as an appeal for his sympathy. But her attempt backfires when she’s put into the custody of Zelda, her estranged gambling addict mother (Annette Bening), and must return home with her to the Jersey shore. Desperate to get back to her Manhattan circle of so-called friends, Imogene must finally deal with her family, including her unique brother (Christopher Fitzgerald), Zelda’s new boyfriend The Bousche (Matt Dillon), plus a cute young lodger (Darren Criss),who together help Imogene find her place in the world. Trying to repeat the success of the last time she played an FBI agent in Miss Congeniality, America’s Sweetheart Sandra Bullock is teaming up with Mellissa McCarthy for what might be the studio driven odd couple cop comedy since Kevin Smith’s Cop Out. But having just had a quick look at the trailer, there might still be some potential especially as Paul Feig is directing after the massively successful Bridesmaids which really put McCarthy on the map (That sit com she does about overweight people seems to be liked by some audiences but I’m too lazy to and ambivalent towards it to even try google searching it’s name) but the appearance of Thomas F. Wilson is what got me excited! Most people might know him best as Biff Tannen, who played Marty McFly’s nemeses in the Back To The Future series and who also weirdly had as a gym teacher in Freaks and Geeks, the vastly underrated show that Feig worked on with Judd Apatow. I got to say I’ve liked Bullock since Speed even though I havent seen any of her recent work, can anyone not like her? And Melissa is on a roll and has a slew of movies coming out, add to that Feig and the supporting cast, this might rise about the sum of it’s parts. Here’s the trailer, let us know what you think in the comment section below! Only last night we were having a discussion about Damages the court room drama which just finished it’s final season in the US and after the promise of the first season, it couldnt really live up to it’s potential. As with any claim I make, I usually get challenged and proven wrong but the one take away was that everyone loves Rose Byrne and can watch her do anything. Especially since she has been tapping into her comedic skills since Get Him To the Greek (she stole that movie) and the much more straight role in the hilarious Bridesmaids. Although I Give it A Year has all the trappings of a paint by numbers Rom Com, the cast and the people involved sure are making me excited to watch it! 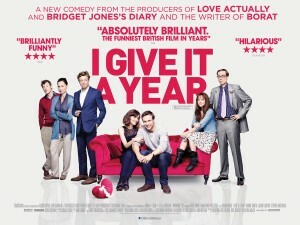 I Give It A Year is the hilarious new comedy from Working Title Films, the producers of Love Actually and Bridget Jones’s Diary, and the writer of Borat. Melissa McCarthy(Bridesmaids) And Joel McHale (Community) Train For The Emmys! The Emmy nominations are about to be announced this thursday and to create some viral buzz here is a hilarious video of last year’s Emmy host, Joel Mchale, loved by Upodcast for his role in one of our favorite shows Community and Melissa Mcarthy, who almost stole the show from Kristen Wiig in Bridesmaids, “training” for this years awards show which I assume Melissa will be presenting after her succes in Bridesmaids. Let us know what your thoughts and if you are tuning into the Emmy’s this year in the comment section .